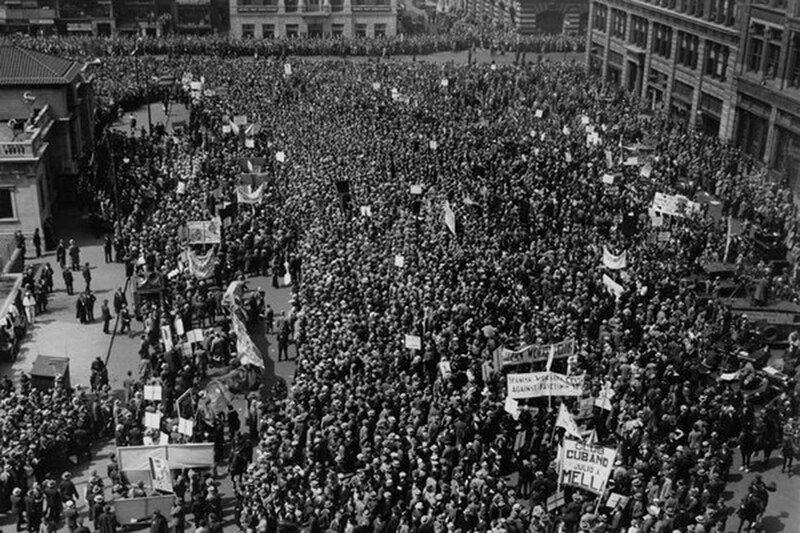 Crowds packed Union Square on May Day 1934. 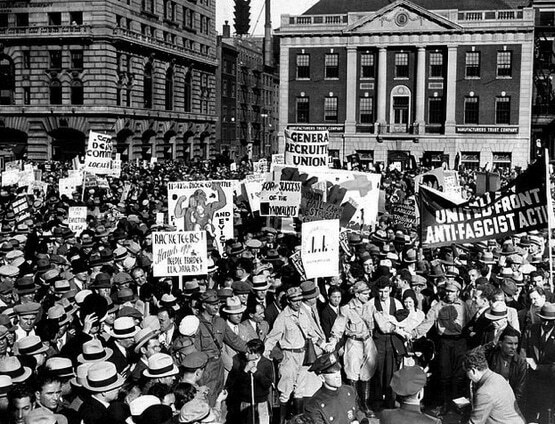 A 1933 May Day celebration in New York City. 4/27/2016 – May Day, the International Workers Day, is celebrated around the world on May 1. Although May Day originated in Chicago in the 1880s when workers first fought for the eight-hour day, the holiday is not officially recognized in this country. But APWU President Mark Dimondstein is urging union members to take part in rallies and other May Day celebrations in their areas. This entry was posted in General Union Business and tagged International Workers' Day, labor history, May 1, May Day. Bookmark the permalink.